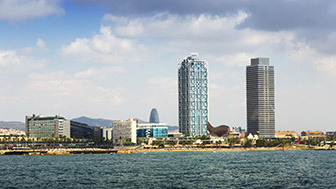 Creative activities brought Barcelona over 123,000 jobs in 2016, representing 12% of employment in the city and half (49%) of creative jobs in Catalonia. The main objective of artistic courses is to provide students with high-quality training to ensure that future professionals qualify in various artistic fields. 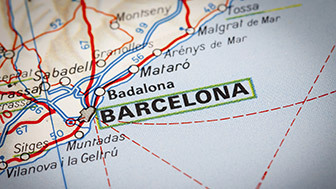 These are divided into four branches: music, plastic arts and design, dance and dramatic art, although it is also worth noting that three other specialities, the creation of video games, cinema audiovisual studies and circus training, are also becoming more popular in Barcelona. Depending on the branch they choose, students can obtain access to intermediate and advanced professional training, advanced education (certified qualifications equivalent to a university degree), integral courses, etc. Dedicating oneself to music is no easy matter; you need a lot of passion and dedication from an early age, as well as great professionals as guides, who know how to transmit these values. With 175 years of history, it has received numerous prizes, such as the European Excellence Award. With a total surface area of 10,000 square metres and 90 soundproof classrooms, among other exclusive facilities, it is home to musicians from all over the world, something that has become a distinctive feature of the Liceu. Its 40,000 square metres of floor space provide the ideal instruments and facilities for top quality teaching. ESMUC, located near the Auditori and the Music Museum, offers the Advanced Music Certificate course, as well as a series of Masters and postgraduate courses. This public centre helps develop a participatory relationship between the public and music through amateur and professional training, the creation and programming of artistic ideas, and reflection between professionals. Since it was set up, the Taller de Músics Private Foundation has carried out its founding objectives to promote the teaching, interpretation and diffusion of contemporary popular music: jazz, flamenco, rock, etc. These include graphic design, interior design, product design and fashion design, as well as the conservation and restoration of cultural assets (graphic documents, sculptures, archaeology and paintings). This state school is the oldest design school in Spain, as well as being the first one in Catalonia to provide architecture courses, which began in 1817. 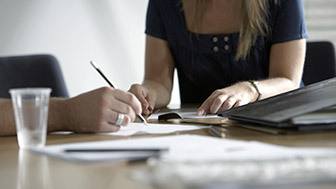 It offers intermediate and advanced courses, advanced studies and Masters. This centre is attached to the UPF and offers degree, Masters and postgraduate courses. Its links to other institutions, including companies and universities all over the world, means that it can offer its students a high rate of job placement. Escola Idep, attached to the UAO, bases its teaching methodology on the conceptual avant-garde and technological infrastructure: because studying photography is not a fashion, fashion is not only design and graphic design is more than just designing. As the only centre in Catalonia, this faculty offers six European Masters, as well as three degree courses (Fine Arts, Conservation Restoration and Design) which replace the Fine Arts degree course. It caters for 400 students every year, and every course has around 300 graduates. Attached to the URL, the ESDi Higher School of Design offers its degree course in Design with different specialisations, as well as Masters and postgraduate courses aimed at foreign students, as the first two years can be taken entirely in English. The BAU School of Design is attached to the UVic. It offers a degree course in design with four specialisations (graphic design & visual communication, audiovisual design, interior design and fashion) apart from various Masters and postgraduate courses. The Institut del Teatre's Dance Conservatory offers a higher qualification in Dance, equivalent to a university degree, in two ways: Pedagogy of dance and dance choreography and performance techniques. The Institut del Teatre offers different specialisations, including stage design, performance and direction & play writing, as well as a Masters in Theatre Studies (MUET) as a consequence of an agreement between the Institut, the UAB, the UPC and the UPF. A lot of creative minds have graduated from Barcelona's cinema schools. They have won a large number of awards and recognition. Attached to the UB, ESCAC offers a degree course in Cinema and Audiovisual Media and a Masters in Cinematography, along with other Masters courses. Various students, including J. A. Bayona, have won prizes, such as the Goya awards. The Barcelona Cinema School has over 1,000 square metres dedicated to the teaching of its degree and Masters courses in three cinematographic disciplines: fiction, documentaries and animation. It also has its own production company, 2mentes, to provide an outlet for its students' projects. Although there has been an increase in the demand for circus training, these courses are still not regulated or recognised by the Spanish Ministry of Education. The Association of Circus Professionals in Catalonia (APCC) offers a network of centres, community centres, etc, that teach courses related to the circus world. This is because the circus has increased its presence in the world of performing arts. This centre offers continual training for circus professionals. The courses are taught by top artists who give classes throughout Europe and have had a long career in the world of circus research and pedagogy. There is an increasing demand for multimedia engineers, with training in both design and technology, for programming and designing video games. A market which is making a strong breakthrough in Barcelona. The Image Processing and Multimedia Technology Centre (CITM), attached to the UPC, includes a degree in Video Game Design and Development. The aim is to train students in the design and programming of video games and other content for mobile devices. The degree course in Multimedia Engineering, offered by La Salle - URL, enables students to develop applications for game consoles, mobiles, social networks, etc., as well as 2D and 3D animation for video games, cinema and audiovisual production. The UPF Barcelona School of Management is opting for creativity and technology with its master’s in videogame creation, to prepare videogame programmers and artistic directors, and with its university master’s in animation, which is regarded as a benchmark in the sector’s industry. The aim of the UAB's Masters course is to provide professionals with an integrated perspective of all the aspects involved in video game creation, as well as giving them the necessary skills for working in a high-level professional environment. The UPC's Masters in video game design and production is aimed at the creation of a video game using design and programming for any digital platform. Professional opportunities include 3D animation and CAD.